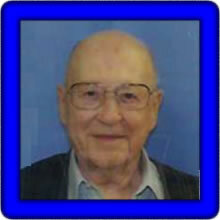 (December 2012) My name is Larry Warner, age 92, and I am still playing around with my PSR-2100 keyboard. The first instrument I learned to play was the piano, then the clarinet, bassoon and oboe. I played in marching and concert bands and two symphony orchestras for a couple of years. I lost about 38 years of music due to an injury of my right hand. I could not raise my wrist or fingers. I made a special outrigger brace to raise my fingers after I pulled down to play a key. I was back in business after all those years but could not play chords with the right hand. My Yamaha keyboard made up for that. I started playing at many rest and retirement homes and enjoyed it very much. Several years ago, illness in the family curtailed my playing at these places. Now I am trying to find time to offer songs to the Jukebox as the future will let me. I am starting with a set of Christmas Carols I recorded some years ago on my PSR-2100. The midi files are from the PSR-2100. Joe used his Tyros4 to created the MP3 files from the midi files. Larry provided 19 songs in midi format. These were created on the PSR-2100. Individual songs are shown in the table below and any one song can be downloaded by right-clicking on the song link. The table displays the song title, tempo (T), time signature (TS), lyrics (L), chords (C), where possible, the style used, the original volume (V), and the keyboard used (K). You can download Larry's 19 Christmas MIDI songs here: LWV1.zip.